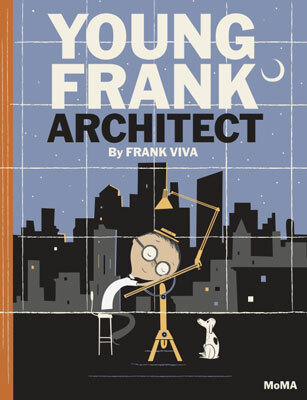 Some great books for kids on the market right now, which includes the Young Frank, Architect book by Frank Viva, which is published by MoMA. That publisher is no accident either. 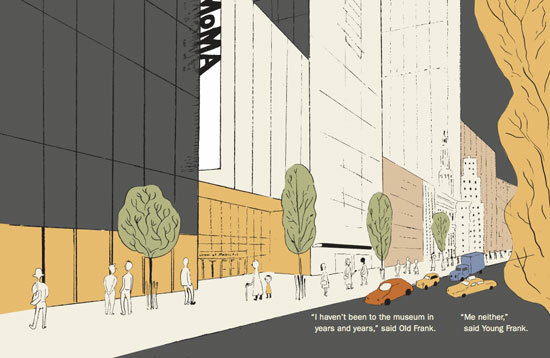 Essentially, this wonderfully illustrated book by award-winning author and illustrator Frank Viva explores MoMA’s collection through the adventures of Young Frank, an aspiring architect, who lives in New York City with his grandfather, Old Frank, also an architect. 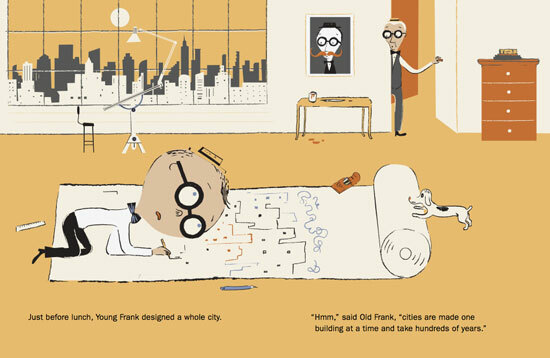 Young Frank likes to use anything he can find to build things – but Old Frank is keen to point out that to be an architect, he has to create buildings. One day they visit The Museum of Modern Art, where they see work by architects Frank Gehry, Frank Lloyd Wright, and many others. It shows buildings and much more – Old Frank discovering that architects can do more than he thought. The Franks go home and create structures of every shape and size, using whatever they can get their hands on. Young Frank feels a little older, and Old Frank feels a little younger—and a little wiser. You can download a preview PDF of the book here and if you want to buy, the book is available as a hardback at Amazon.co.uk for a discounted £7.69.